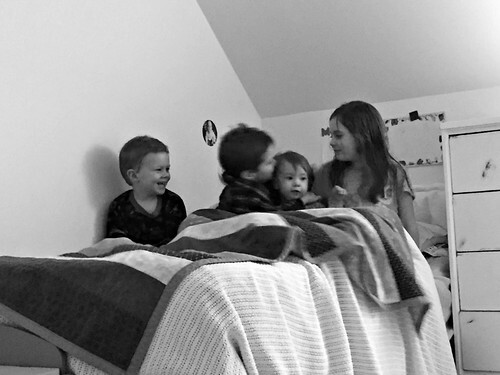 As our children get older, it has been fun to see how their personalities and personal preferences morph over time. Nora is “only” in first grade, but I am honestly shocked how quickly her opinions on various topics have changed due to the influence of her peers. Maybe I shouldn’t be shocked — she’s with them for almost 8 hours every day! She also insists that her snow pants are not the “cool kind” (big puffy bib-overall type) and would prefer a slimmer pants-only pair. I said we can look for different snow pants next year, but I’m not buying new this year anymore. She wears them too school — which is the only time I have control over the situation, but I’m pretty sure she shoves them in her backpack when she gets to school and never wears them again for the rest of the day. 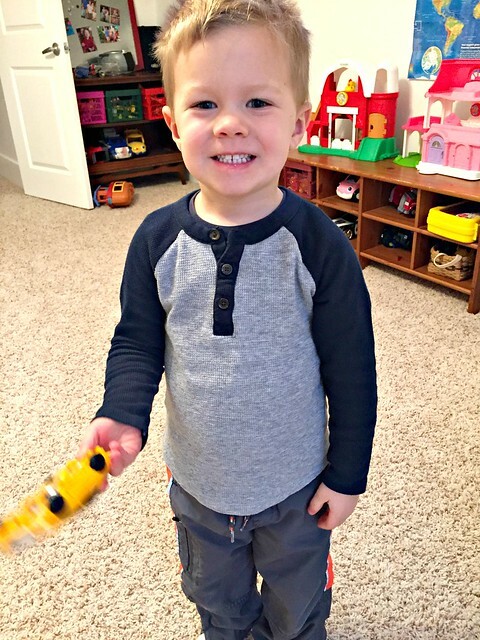 Simon is in preschool, and while he doesn’t not wear something because he’s worried about fitting in, I find it interesting how quickly he picks up on various brand names of clothing the kids at school wear. He’ll notice if someone has Nike or UnderArmor and although we buy almost 100% of our clothing from thrift stores, I’ve managed to find him several Nike and UnderArmor shirts for him — all of which are how his favorites. I want to know if they are his “favorites” because they are blue (his favorite color), if they are somehow more comfortable, or if he really does sense that they are a “cool brand”, even at only 4 years old. James doesn’t have super strong clothing preferences… as long as he can DO IT HIMSELF. He insists on picking out all his own clothes, which often means wearing his camo pants with one of his 3 or 4 favorite shirts, depending on what’s clean. He also has a Nike outfit that he talks about constantly and always wants to know if it’s clean or not! Even little Miss Clara has surprised me lately by whining and grunting until I get the dolls out of the closet (we had them packed away for a bit as Nora wasn’t playing with them). 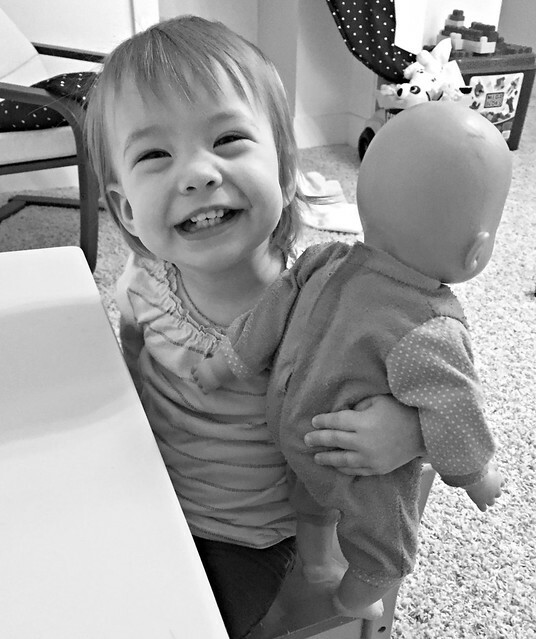 Clara was previously happy to play with trucks and trains, but now she’s all about the dolls — especially pushing them in the stroller! I do understand they are their own person, capable of forming their own opinions, but it still always catches me by surprise! Especially the brand name thing since Dave and I have NEVER been into clothing brands, or really any “brand names”. We never go shopping (other than thrift stores), we don’t have Cable TV or watch any commercials, we don’t get the newspaper or any other printed magazines or advertisements, and we really don’t even go all that many places where our kids would see others wearing specific styles and brands. I suppose I’ll just continue to support them at home in whatever ways I can, and enjoy the fact that (for the most part) they all love each other, they respect Dave and me, and they seem to be very happy and healthy. 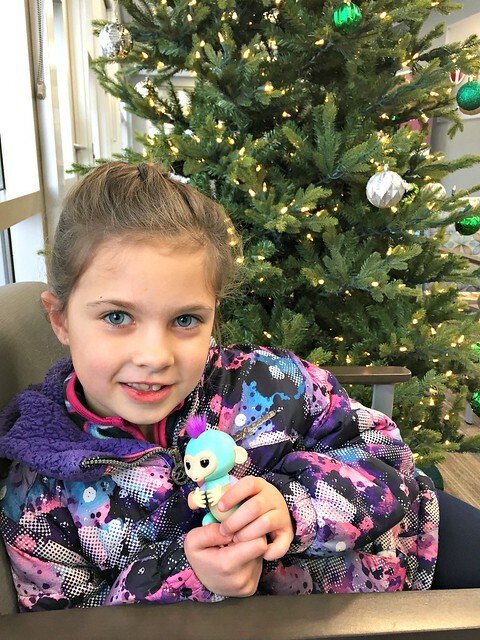 Nora loves the unique and stylish designs and colors they offer for older kids. 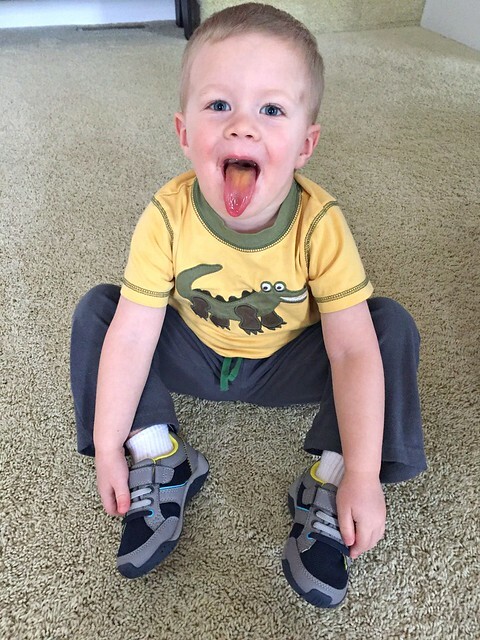 Simon loves how “fast” these shoes make him and how comfortable they are for his THICK feet. James loves that these shoes are SUPER easy to get on and off so he can “do it himself”. 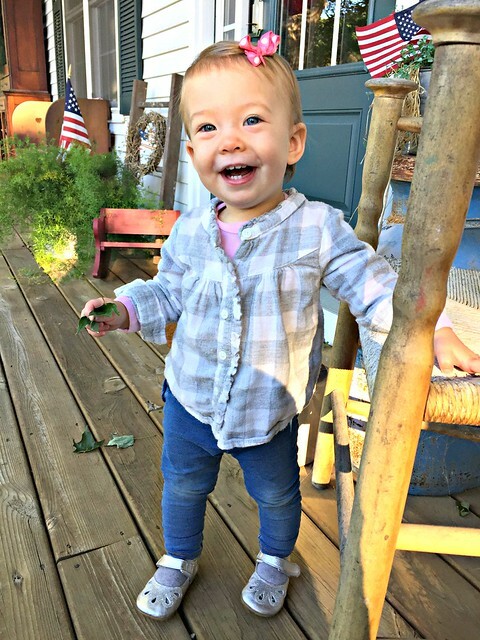 Clara loves that the shoes fit her petite feet and help support her as she learns how to walk. Of course, I love that they can all be purchased online without leaving the house… and the fact I know they are QUALITY shoes! 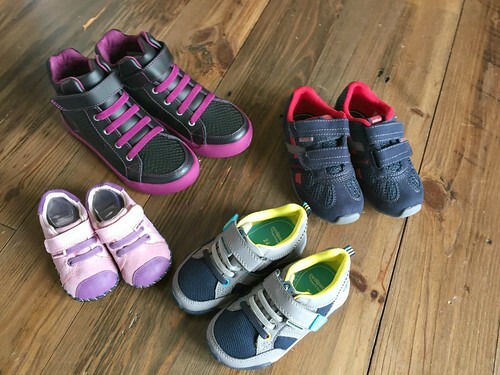 They support Nora’s narrow feet, Simon’s thick feet, James’ high arches, and Clara’s itty-bitty feet with ease and comfort. Also, we’ve never worn a pair out yet — and my kids are hard on their shoes! 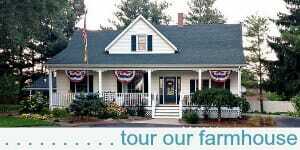 In fact, we usually pass them down to neighbors, friends, and relatives, who all enjoy them long after we’re through. We are HUGE pediped fans and have been for many years already. 1. Original: Best for infants and small children who are learning to walk. 2. 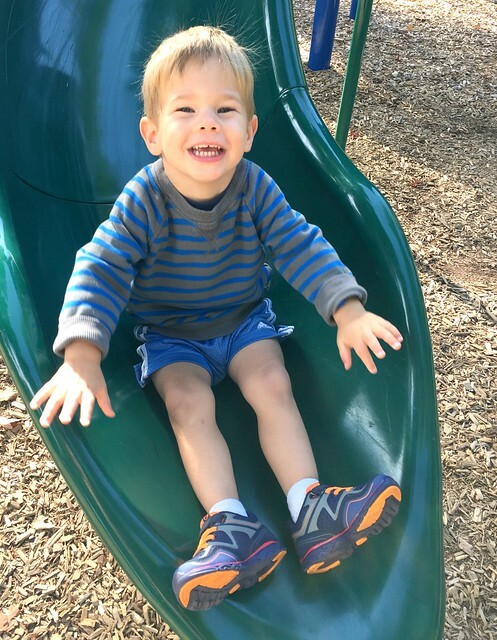 Grip ‘n Go: Best for active toddlers who are already walking. 3. Flex: Perfect for more experienced walkers. 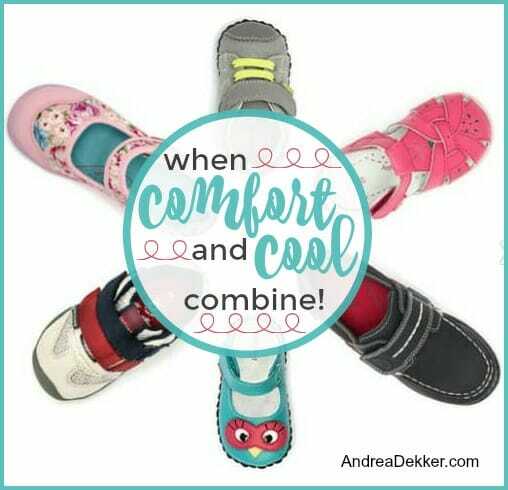 Whether your child is crawling, learning to walk, or running, pediped has a stylish shoe that fits comfortably and ensures healthy foot development. 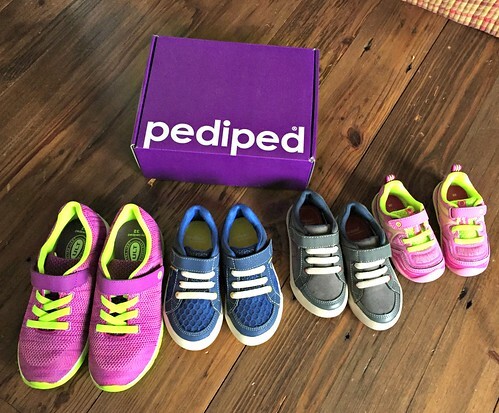 It all started with a mom’s hunt to find the best shoe for her little girl… now, a few years later, pediped is one of the most loved children’s shoe brands around the world. 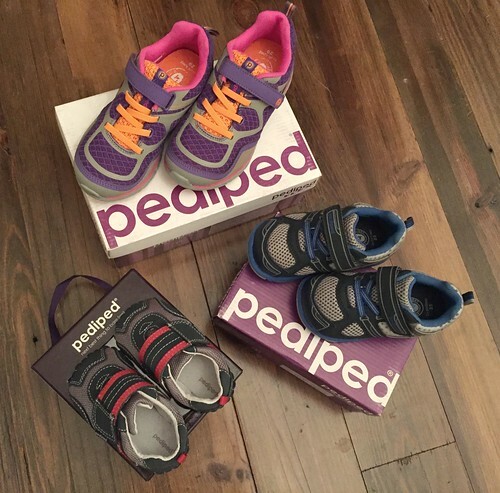 I’m so thankful for pediped shoes… and I’m SO excited to give a couple pairs away!! Today, one lucky reader will win TWO PAIRS of pediped children’s shoes. 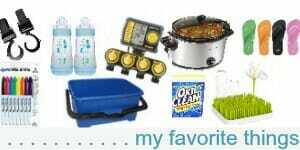 This giveaways ends at 11:59 pm EST, Monday, 1/28/2019 and is open to US residents, 18 years or older. The winners will be randomly selected via Rafflecopter and notified via email. I received compensation in exchange for hosting this giveaway — all opinions are 100% my own. Please see my full disclosure policy and contact me with any questions you have. Good luck! 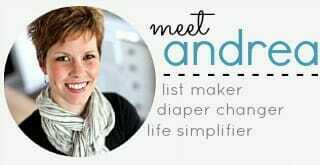 Why I Don't Use Cloth Diapers + A Diaper Deal! Filed under: Family • Misc. Thank you for posting another Pediped giveaway and coupon code. Can you tell me when the coupon expires or did expire? I typed it in today but it stated it was invalid. Thank you! oh shucks, I wonder if it’s already expired. I’ll email them and see if I can get a new code! 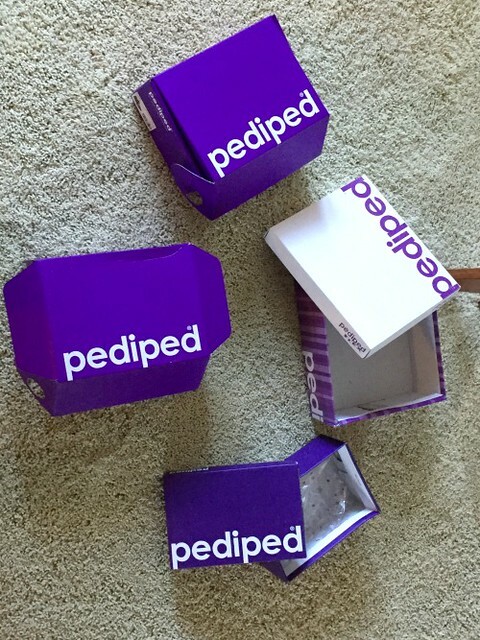 I just heard back from Pediped and they extended the discount through 2/11/19! You can still get the 35% off!! YAY! Thank you SO much! I’m excited to buy our first pair! I appreciate you reaching out to them! I kind of laugh at all these people that have this mold they abide by at home and then they send their kids off to school and even it they didn’t know brands or never ate processed food, or heard certain words, etc… You can bet they will shortly sample all the wares and be much more aware than we could imagine!!! I don’t mean to be offensive when I say I laughed, I have five daughters and a range of everything that I have seen at this point, but I try to keep a sense of humor. My neighborhood/school district is quite elite, but I was never one who cared what cars someone drove, or what label was on their backpack or shoes, or where they vacationed. Standing at the bus stop with my girls, my children learned respect, kindness and compassion and I saw a stunning lack of that with the elitist children around them, with their brand names, cell phones and lack of any parents standing with them. I actually homeschooled my last for a few years and had one of the moms rudely say how surprised she was that I was “homeschooling her now” as most do it when the kids are young. I homeschooled her because I was in fear that the school would literally get in the way of her education at that point. Peers have such an incredible amount of influence in our children’s lives. My last daughter was the only one who was NOT peer dependent and is now in a Public Charter, with uniforms and still talks about the division of classes there. But she’s brilliant and has a 4.333 GPA, and lives with us in the real world. Saying allll of this is just an older mom pointing out the amount of influence your kids will experience with any school, but you learn to work though those things too and try to keep the focus on learning. Your strength in your values, morals you teach and the simple example you set will sustain you! My oldest are all hard working, productive contributing members of society today, with school loans, car payments and incredible attitudes. They realize none of the brand names matter and who you are inside in more important. I am blessed beyond measure and so proud of them! Trust me though, you will see much throughout their lifetime, but your common sense and practicality with ride you through! Best of luck always Andrea! Happy snowy Friday! This is all so true — I’m certain we’ll experience all sorts of “fun” challenges as we send our children to school! I am not surprised at all by this. I am a retired teacher of preschoolers and that is definitely the age that kids notice other kids. They talk about “cool stuff and the latest toys” all the time. And of course, some families make that a priority. Often the girls would come in with the latest and greatest new doll that can… walk, eat, cry, burp, pee, etc, and all the children would ooh and ahh. Often a child would be holding her beloved doll and come to me with a sad, defeated look and say” my doll doesn’t do anything”, to which I would reply” oh sweetie, that is not so… your doll can do anything you use your imagination to help her do!.”… and together we would help her doll to sit, fly, etc until she got the idea and felt better. But the challenge to” keep up with the Jones’s and have the cool stuff” is real. And also whether items are bought full price or at thrift stores they are still “ the cool and coveted “ items and kids learn this very quickly. 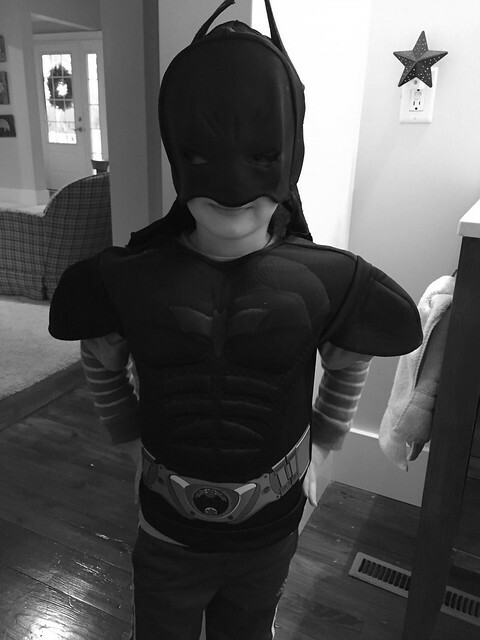 By the time I was finished with my career it was a rarity and often looked down upon to even see a homemade Halloween costume- and I had to make it my job to talk it up to make that child feel special….the times they are a-changing…. so thrift store shopping, or commercial free homes do not, unfortunately, make this a non-issue, but how parents handle it at home does certainly help to tame the beast a bit. I totally agree & had this experience this past Christmas: we are very tight right now money wise but we do live in a townhouse in an affluent neighbourhood. So this year when the teacher said they could bring in one gift from Christmas to share with the class, I said to my 6 yr old, ok you can bring one of your avengers action figures (given to us from our neighbour a mom of 3 boys), your new picture dictionary (used) or the box from his Lego set (grandmas gift). He chose the avengers toy and was happy with that, until he cane home and said mum “he got a Nintendo switch” and “she brought in a huge Mickey Mouse because they all are going to Disneyworld” then he said, mum what’s Disneyworld? How does a Nintendo work!? And so it begins……! oh wow — That’s a touch situation for you and your child! 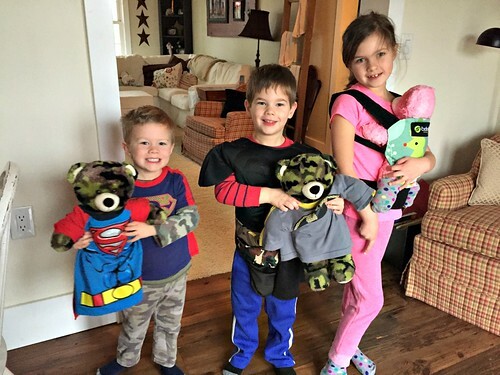 We always have multiple pairs of pedipeds in our house and I think I first heard of them through you! oh good — glad you like them too!! I’m a recently retired Montessori preschool/kindergarten teacher, and I have observed over the years the very interesting phenomena of children wanting to copy each other. Disney movies, cartoons, etc. have been the theme of children’s clothing for forever, and right now it’s superheroes, especially batman and spiderman. Name brand was not something I observed but I suspect that is mostly parents at the preschool age, and the kids see the logo on other kids, and see the logo at the store. When my children were little, in the 80’s and early 90’s, it was very difficult to find plain clothing. My boys lived in JC Penney’s “2 for $11.99” sweatpants and sweatshirts. I rarely bought Disney or anything else with a picture or logo. It’s distracting in school, and I debated banning them at my Montessori, but never did. Many private schools do ban them. 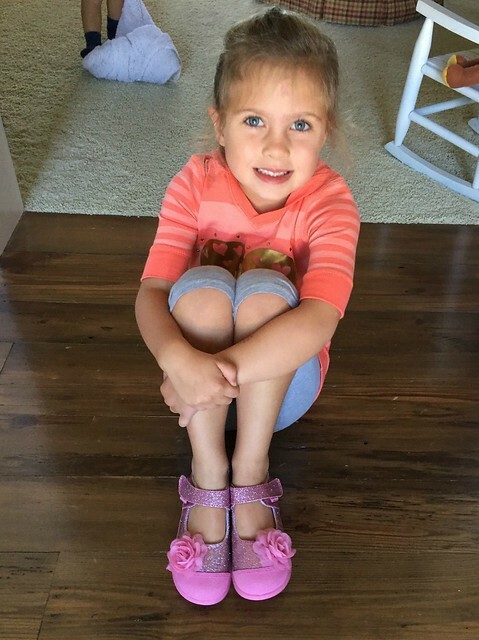 I think overall my least favorite clothing/shoe item on children has been the glittered shoes on girls…adorable, YES, what girl wouldn’t want glitter shoes???? but they are nightmare on the low pile carpets of many schools….impossible to fully vacuum it out….just my thoughts this morning. I entered the contest…I have a grandson! Yes, it’s crazy how quickly they pick up on these sorts of things — and yes, Simon is HUGE into Batman and Spiderman right now (and we’ve never seen any of the movies or shows). Also, we do not like glitter! Nora got a couple glittery toys for her birthday and we just threw them away. We “spilled” glitter all over just trying to get them out of the packaging! Crazy! Great discount!! Thank you…I also like the liner they give in case the shoes are a little big. Miss 7 loves them because no one else usually has the same shoes as she does. They are all finding their way and do it in different ways. We don’t generally give in either to “keep up”! Sorry for the delayed response Amy — your comment ended up in SPAM! Anyway, YES the shoe inserts are fantastic — they definitely stretch the life of the shoe quite a bit longer! Andrea, You and Dave have done a great job raising Nora up to this point, with good values, good examples, and good routines, plus that wonderful mantra, “All things in moderation!” I’m sure you will navigate this new challenge of peer pressure with grace and wisdom 🙂 It will be interesting to see how each child responds to exposure to the “outside” world. Thanks for these giveaways! I will see if I can get my grandchildren pediped shoes 🙂 Regardless, I will make use of the 35% off code. Thanks! Thanks Shan! Hope your grandkids like their new shoes!! I’ve mentioned this before when entering your giveaways/contests but I’m so grateful that you don’t require any crazy hoop-jumping to enter. Just giving my email? I’m in! yes yes, you are so welcome! No jumping through hoops for me! This is so interesting to me — glad to know my kids aren’t the only ones!! I have one girl’s pair that you passed on to me (Thank you!) and am ready for a pair for my picky 7 year old boy who wants to be able to cross his toes inside his shoes. (SIGH.) I have been hesitant to spend money and shipping on something that I don’t know if he will like. This would be a prefect introduction to shoes that might work for him! Hi Ann — sorry for the un-posted comment (it made it’s way to SPAM and I’m just seeing it now). You are more than welcome for the shoes — glad you are getting use out of them 🙂 And yes, I should look at thrift stores for Nora. That’s where we get all our snow pants anyway — it’s most just the point that I feel she doesn’t need new pants simply because she thinks her current snow pants aren’t “cool” enough. She can “tough it out” for the rest of the winter with the purple snow pants she picked out from our local thrift store this fall! Hah! You might enjoy the book “Born to Buy” by Juliet Schor–it extensively covers this topic. A dense but thoroughly interesting book, I couldn’t put it down. Even though the book describes my generation (I’m 22 next month), I was homeschooled, raised in near seclusion out in the country, and always got toys and clothes from the thrift store, so it was extremely alienating to read about this fascination with brand names and having the newest and best toy. To this day I still don’t understand ANY fascination with brand name. I don’t think the kids themselves understand that it’s a form of a class system, they just want to be amongst the ranks of those they see as higher up than them, or their friends (“cool”). This is so interesting to hear — thanks for sharing. I’ll have to look up that book!